Page of "7 day countdown to The FX-Unit Yuki : The Henshin Engine Kickstarter campaign". The time is almost here, folks! 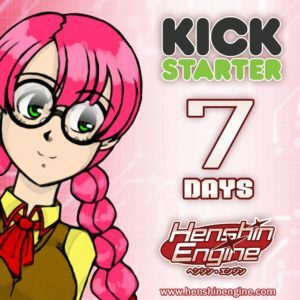 Today begins the 7 day countdown to Henshin Engine Kickstarter campaign. Hi Alex! The Kickstarter went live early this morning. Please check it out here!